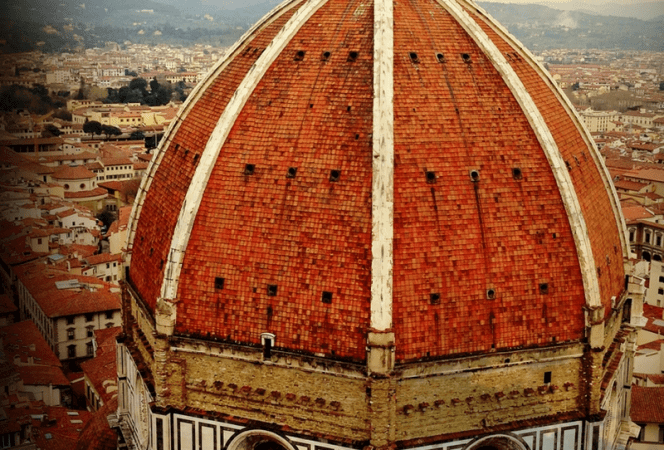 During the holidays, we focus on spending time together and celebrating family traditions. We enjoy many family ping pong tournaments, watching holiday movies, and making our favorite holiday dishes. When the kids were younger, I wanted to teach them about their family tree, so we started making recipes from various cultures. We spent many hours in the kitchen, cooking and sampling dishes from around the world. As a result, we developed one of our all time favorites, a Coquito Tres Leches Cake recipe. This is the perfect mix of two awesome Puerto Rican desserts, coquito and tres leches cake. 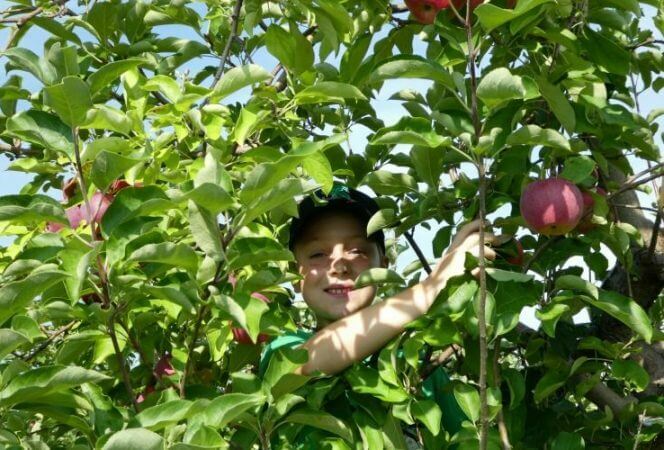 Come see how easy it is to make for your family this holiday season! After we made quite a few recipes, there was one my kids loved above all others: Coquito. Coquito is essentially a coconut flavored Puerto Rican eggnog and I have fond memories of my grandmother serving this at Christmas parties when I was little. 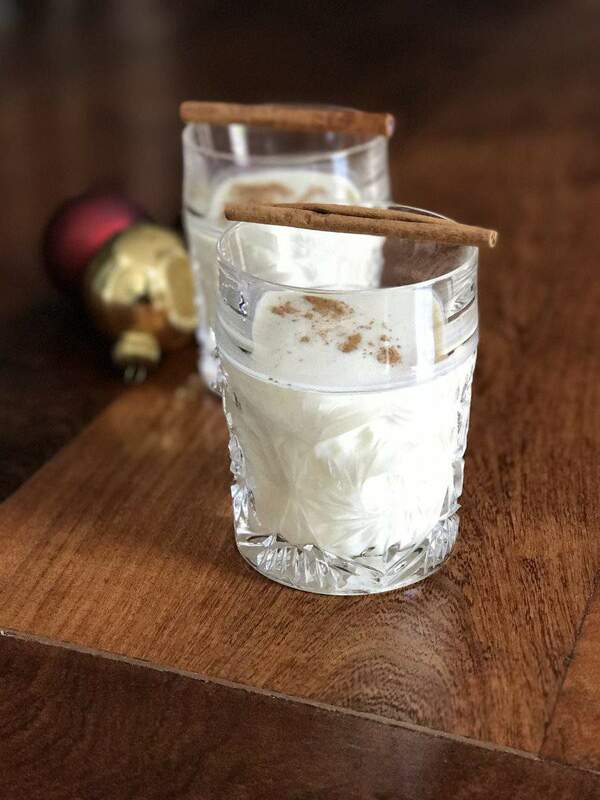 There’s an alcoholic (with rum) and non-alcoholic version, and my boys love the non-alcoholic version (as do I), so we’ve made it for the past few years during the holidays. Last year we decided to take the recipe a step further and try our hand at a Coquito Tres Leches Cake. 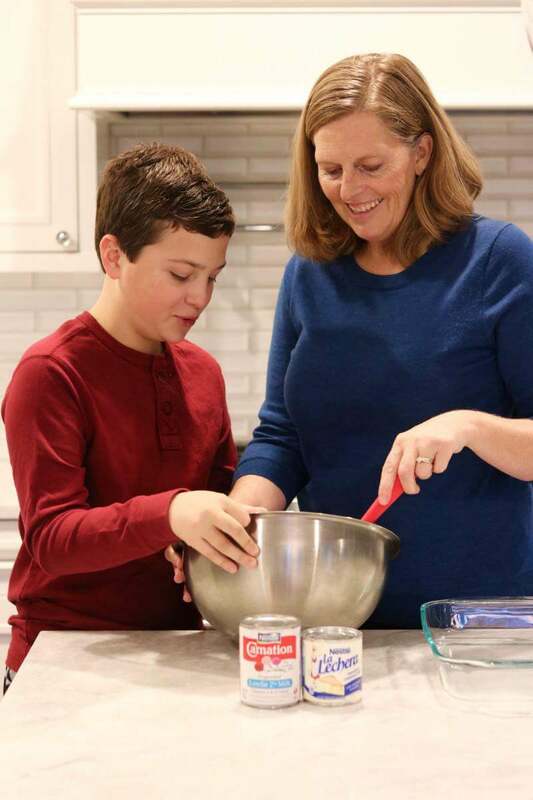 I explained to my children that although the cake is called “tres leches”, which means cake of three milks, there are actually four types of milk used in baking this cake: sweet condensed milk, evaporated milk, coconut milk, and whipping cream. I was asked many questions about this, but I have no idea why they don’t call it “Cuatro Leches”. The kids still insisted we should make the cake. 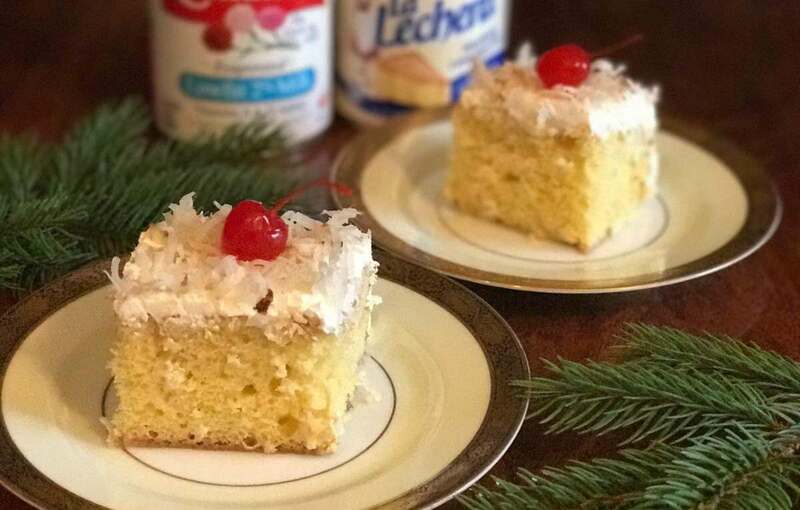 Coquito Tres Leches Cake is fairly easy to put together and those who have time can find a recipe to make the cake without using a mix. I like easy recipes, and for me, cake mix is easy. While the cake is in the oven, we make the coquito topping, and after the cake has cooled, we pour the topping all over the cake and let it soak in overnight. The hardest part is the waiting. The next day we spread whipped topping all over the cake and sprinkle the entire cake with toasted coconut. Each slice gets a maraschino cherry on top. The kids can’t get enough! Watch our video below to see how easy it is! A mix of two Puerto Rican favorites results in one fabulous holiday dessert. 1 bag shredded coconut Toast for 3-5 minutes in a pan on the stove. Pre-heat oven to 350 degrees. Butter a 13 x 9 baking dish. In a large mixing bowl add cake mix, eggs, whole milk, melted butter, and vanilla. Stir until blended and pour into baking dish. Cook for 30 minutes. While cake is baking, make the Coquito topping. In a large bowl, add sweet condensed milk, evaporated milk, coconut milk, cinnamon, and nutmeg. Mix together with a whisk and set aside. After removing cake from oven, let rest for 40 minutes. When cake is cool, use the round end of a spoon or chop stick to poke holes all over the cake. Pour the Coquito topping evenly on top of cake. Refrigerate cake for at least four hours, but preferably overnight. Toast the coconut by placing it in a pan on the stove top at medium heat. Use a spatula to turn it over until it is a light brown color. This takes 3-5 minutes. Cover the cake with whipped topping and sprinkle with toasted coconut. When serving, place a maraschino cherry on top of each slice. Enjoy! 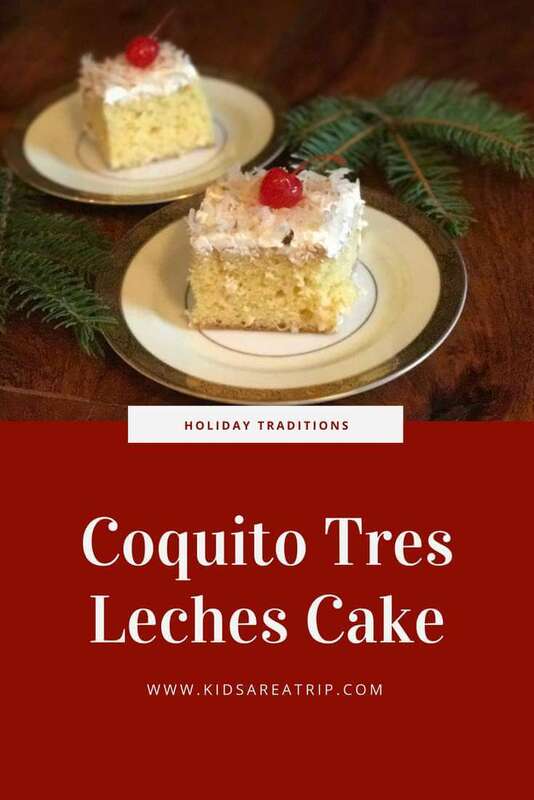 Want to make your own Coquito Tres Leches cake? You can find La Lechera sweet condensed milk and Carnation evaporated milk at Walmart along with the rest of these ingredients. Happy holidays!